If you hired an attorney for a consultation on starting a medical marijuana business, you could pay $500 per hour just for the consultation and you’re on your way with no additional help and they still don’t tell you anything worth while (unless you pay for it). 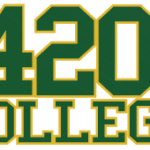 420 College™ marijuana business workshops put you in front of TOP CANNABIS ATTORNEYS AND INDUSTRY LEADERS who specialize in cannabis business start up, regulations and operations in California for 2 whole days. We care that you have access to QUALITY – UP TO DATE – RELEVANT information so YOU CAN MAKE EDUCATED DECISIONS TO ENTER THIS INDUSTRY! When so many have the same questions – it just makes sense to do research yourself and hear it for yourself. 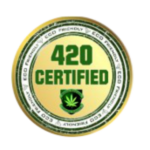 This is a terrific opportunity for anyone who is interested in starting a legitimate business in the cannabis industry in California. We will assist you to get over the scary questions – to find some reliable support and to make clear decisions.